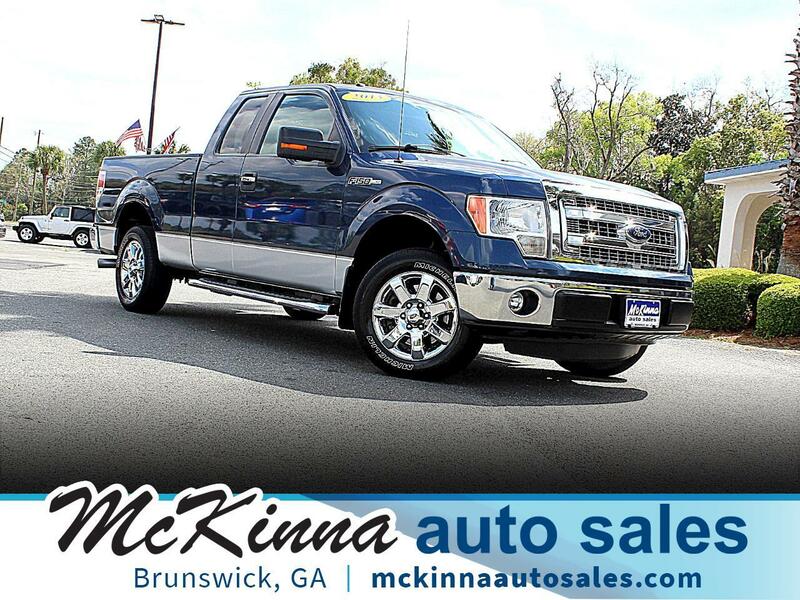 This One Owner F-150 SuperCab XLT is equipped with Power Leather Seating, Running Boards, Bedliner, Chrome Package, Towing, and WeatherTek Floormats. With no significant exterior damage, this one has been kept in quality shape over the years. The interior shows only the slightest amount of wear and is in excellent overall condition. Check out the included CARFAX report which shows this vehicle to be a one-owner vehicle. As with all our vehicles that we sell, this one has an optional extended warranty available. Cash Buyers Welcome. Come In and Make A Deal! We are a short drive from Waverly! With a combined average 4.8 out of 5-star reviews on Google, Facebook, Cars.com, Edmunds.com and CarGurus.com, you can rest assured knowing that you'll be in good hands with our knowledgeable and friendly staff here at Mckinna Auto Sales. Working with Navy Federal or USAA? No problem, give us a call and we'll walk you through the process. We'll finance you!